Vienna Chamber of Commerce with hidden message in new advertising campaign. Since September 9, a new commercial is running on television. With the slogan “For us, entrepreneurs are heroes”, the Vienna Economic Chamber operates an image campaign for self-employment and entrepreneurship. Usually National Chambers spheres are limited in their national territory . But the Vienna Chamber of Commerce advertises nationwide, and with great commitment: The campaign runs until 4 November in a prominent place on the ORF , on Puls 4, ATV and W24 as well as in the cinema and online. Planners, city lights and rolling boards are also planned. The campaign was adopted by all groups in the Vienna Economic Chamber ( ÖVP , SPÖ , FPÖ , Greens). It also comes across the quiet benevolence of other state chambers of commerce. “You see in it a compensation for the damage caused by Harald Mahrer, ” it says in chamber circles. As a multi-functionary at the head of the Economic Chamber and the National Bank, Mahrer did not do a good job of representing the employers. 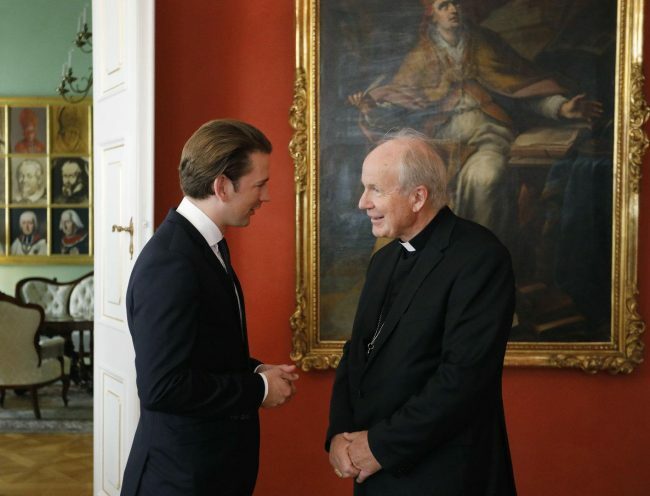 Even Mahrer’s close followers met with the chancellor in some skepticism places. Between the Vienna Chamber of Commerce and the government more talks could spark soon. Turquoise blue will soon submit the draft for the social security reform. In the process, it is likely to dissolve the main association of social security funds de facto. The head of the association is the Vice President of the Vienna Economic Chamber , Alexander Biach . Compared to Biach, who has always tried to drive reforms, the government plans are a mistrust proof.